Richard Madeley has clashed with former Corrie actress Paula Williamson over her relationship with notoriously violent criminal, Charles Bronson. 64-year-old jailbird Charles has spent most of his adult life behind bars, having committed a string of grave offences including armed robbery, wounding with intent, false imprisonment and threatening to kill. Who'd want a little Charles Bronson? The unlikely couple are engaged to be married, with Paula revealing her hopes to start a family. As Charles is still serving time on his latest sentence and is denied conjugal visits, they would have to use IVF. The 37-year-old former soap star appeared on Good Morning Britain to explain her controversial decision and received a thorough grilling from straight-talking Richard. What are you doing? What are you playing at? What I am doing is I’ve fallen in love with a man. I have. Why is that so hard to believe? 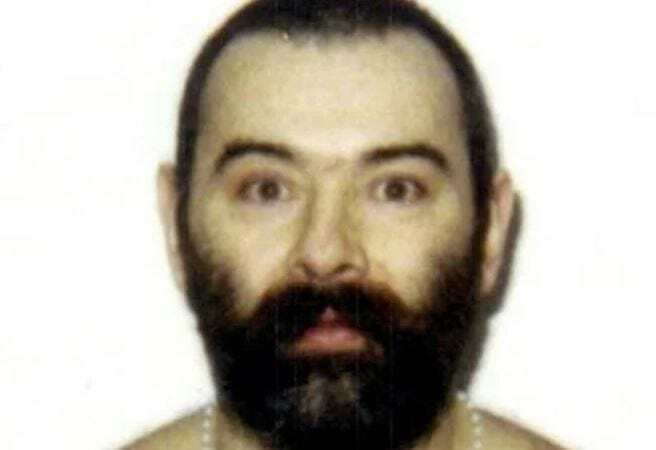 What attracted you to the serial criminal Charles Bronson? He’s been a violent criminal and he’s the first one to hold his hands up to that, and I don’t want this to be a rewash of what I’ve said in the past lots of times. He is an artist, he does a lot for charity, he’s a fitness fanatic, he’s a very, very loving person. Charles Bronson's fiancé on GMB fighting his corner to be released & asking to have a baby with him.. who said love is dead ? I want a little baby. I’ve always fancied a daughter and I’ll be the best dad in the world. I’ve even got my girl’s name, Sophie, the angel of all angels. My life will be a dream come true. Will starting a new family be the making of Charles, or is Paula better off taking Richard’s blunt advice and using a sperm bank instead?